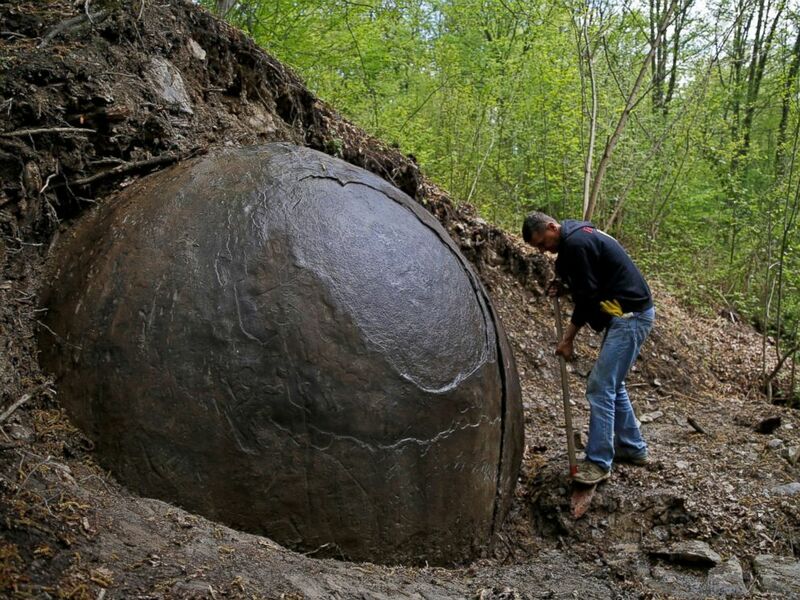 Archaeologists have reportedly unearthed a huge stone sphere in Central Bosnia. Sam Osmanagich, a Bosnian archaeologist colloquially known as the “Bosnian Indiana Jones” because of his fashion sense and field of study, says the reccent discovery suggests the existence of a lost civilization, which is disputed by other archaeologists who have credited a natural formation. But Osmanagich stands by his theory. “It would be another proof that Southern Europe, Balkan and Bosnia, in particular, were home for advanced civilizations from distant past and we have no written records about them,” Osmanagich wrote in a blog post announcing the discovery for The Archaeological Park: Bosnian Pyramid of the Sun Foundation. The discovery marks “the most massive stone ball in Europe,” he wrote. Osmanagich said the stone ball was found in the village of Podubravlje, near Zavidovici, Bosnia and Herzegovina, and that preliminary results show it to have a radius of between 1.2 to 1.5 meters (about 3 feet, 11 inches to about 4 feet, 11 inches).